Take relatable, entertaining characters, put them in a dramatic hospital setting and you get hits such as E.R. (1994 to 2009), House (2004 to 2012) and Grey's Anatomy (2004 to present). 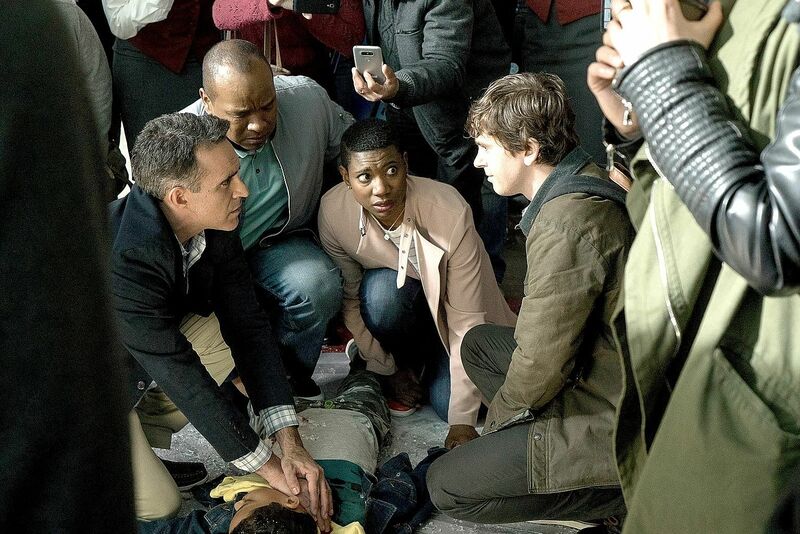 One of the doctors is always brilliant but antisocial and, in the new show, The Good Doctor, it is Shaun Murphy (Bates Motel's Freddie Highmore), a young surgeon with autism and savant syndrome. A California hospital refuses to hire him, but relents when a video of him saving a life goes viral, and his mentor, Dr Glassman (The West Wing's Richard Schiff), promises to step down if he fails. Shaun has to prove himself and it does not go smoothly. But his unorthodox problem-solving often saves the day. And as is so often the case with autistic characters, Shaun is a truth-teller who calls out his colleagues' failings - a vicarious thrill for viewers who wish they could do the same. The risk with such heroes, however, is they fast become one-trick ponies - so the tricks had better be good. Hugh Laurie's Dr House, on the medical drama House, had no issues there - he specialised in diagnosing esoteric cases. But in the first six episodes of The Good Doctor, none of the medicine is exactly memorable. The inter-office politics, banter and romance are blah too - apart from Shaun, there is none of the endearing kookiness of Grey's Anatomy or the thoughtfulness of E.R. The writers get credit for attempting a sensitive portrayal of a person who is not neurotypical - flashbacks to Shaun's sad childhood are touching, if simplistic. Yet, even with this, he feels two-dimensional; Dr House, with his arrogance and narcissism, had more to him. You can get only so far with hey-presto-style flashes of genius, so the show has its work cut out if it wants a character viewers will watch for years. A few minutes into The Punisher and you see why its release was delayed following the Oct 1 Las Vegas shooting. 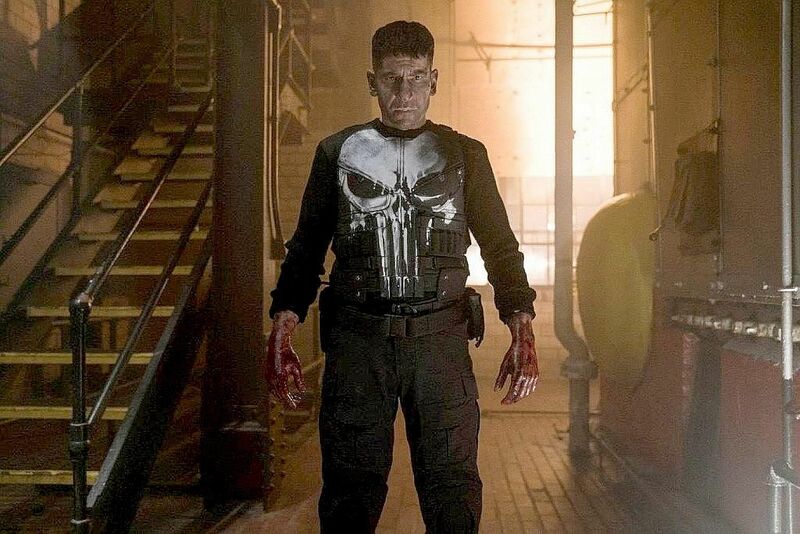 Frank Castle (Jon Bernthal) - the cold-blooded vigilante known to New Yorkers as The Punisher - is methodically executing the gangsters who killed his wife and two children. And in a scene reminiscent of Las Vegas, he leans out of a building and takes a long-range shot at his target. But postponing the premiere by a month does not solve the show's core problem, which is that it is often pointlessly violent. The writers try to temper this by giving Castle a backstory that rationalises his killing sprees. The former Marine is scarred by the murder of his wife and kids and also by his stint carrying out ethically dubious black ops in Afghanistan - which, he finds, is part of a larger conspiracy linked to his family's deaths. But even when he thinks he has avenged them, he cannot stop - and with this and scenes of a veterans' support group, the show shines a light on how war chews soldiers up and spits them out. The series has less interest in examining Castle's grief over his family. Instead, the dead wife and kids become almost a shorthand, a reference repeated ad nauseum in flashbacks. The fallout is expressed unimaginatively as well: Castle repeatedly stares in the mirror, hammers a wall and has recurring nightmares. That said, Bernthal is well cast as a brooding killing machine whose impassive exterior hints at inner torment. Some of the action sequences are truly heart-pounding, especially as there are no superpowers to cheat with here, unless you count Castle being a crack shot and seemingly impervious to pain. And there is definite catharsis seeing him mete out swift punishment to horrible people. Yet, once you are able to rationalise some of his actions, there is still an awful lot of wanton violence - and we are talking bone-breaking, face-smashing, garroting, bullets to the forehead and so forth, with sickening sound effects and in slow-motion or close-up. Screen violence is often key to narrative and tone - even in excess, when it can make a valuable point about desensitisation. But The Punisher passes that point and keeps going and its thin plot and characterisation cannot support it beyond that. With one too many killing sequences set to jaunty music - not to mention a bizarre, gun-happy title sequence - the show betrays its true intentions, which are to fetishise violence. Simply because it enjoys it.